No, you are not looking at the trailer for the sequel of The Legend of Hercules, starring Kellan Lutz. This one is of another kind, but utilizing the same timeless tale of bravery, love, fantasy and triumph. This version stars former -- and always will be -- wrestler Dwayne "The Rock" Johnson. 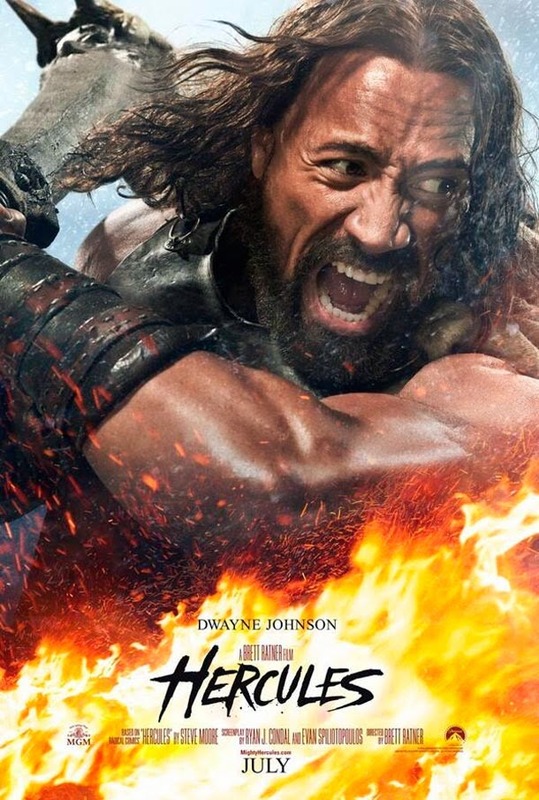 Also known as Hercules: The Thracian Wars, the movie is brought to us by MGM and Paramount Pictures, and directed by Brett Ratner (X-Men: The Last Stand). The movie also stars Ian McShane, Rufus Sewell, Joseph Fiennes, Peter Mullan, John Hurt, Rebecca Ferguson, Ingrid Bolso Berdal, Aksel Hennie and Reece Ritchie, and is based on the screenplay by Ryan Condal and Evan Spiliotopoulos. Watch Dwayne "The Rock" Johnson flex some muscle in the new trailer of Hercules. Many Years ago, a tormented Demigod walked the earth: Hercules was the powerful son of the god king Zeus. For this, he received nothing but suffering for his entire life. After twelve arduous years of labor and the loss of his family, the dark and world-weary soul turned his back on the gods, finding his only solace in combat. Over the years, he warmed to the company of six similar friends, their only bond being their love of fighting and presence of death. These men and women never questioned where they would go to fight or why or whom, just how much they would be paid - until the King of Thrace hired them to train his men to become the greatest army of all time. It was time for the group of lost souls to finally have their eyes opened to see how far they have fallen, when they must train an army to become as ruthless and bloodthirsty as their reputation has become. Hercules will complete his labors in theaters on July 25, 2014.